Ft/ Terisa Griffin, Lady Red, Hank Stewart, Tony Tatum, Antonio Allen & More! April 24-26, 2019 featuring Hargrove, Howell, Martin, Davis, Reese & More! FREE Cancer Fighting Recipes Click Here! Obtain a Download of Recipes that Contain Immune System Supporting Ingredients. Register Here FREE ft Guilford, Pagani, Bloomer, Jordan & More on May 3-5, 2019! 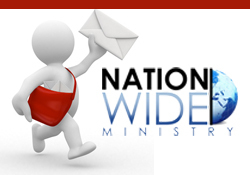 GET CONNECTED TO THE KINGDOM AND JOIN THE NATIONWIDE MINISTRY MAILING LIST SUBSCRIBE NOW! © 2019 Nationwide Ministry. All Rights Reserved. You have successfully subscribed to Nationwide Ministry! Nationwide Ministry will use the information you provide on this form to be in touch with you and to provide updates and marketing.